If Brookes Education group director David Rose had spent any time in BC public schools – especially here in the South Islands in School Districts 61 Greater Victoria , 62 Sooke and 63 Saanich, since his new private school will be located in Colwood – he would see innovative teaching from committed teachers, and enthusiastic students involved in critical thinking and project based learning, about as far from fact give-back as you can get. With the November 2016 BCST win at the Supreme Court of Canada, language from teacher contracts that was illegally stripped by the BC Liberals was reinstated, giving students a better chance in smaller classes with more teacher support for the complex learning based on the new ( revisions began in 2015) BC curriculum that moves clearly into emphasis on interrelationship of concepts, big ideas, critical thinking and personalized learning (every child learns differently), and which includes foundational skills in literacy and numeracy, coding and associated logic, personal responsibility, and self-assessment. Learning is based in inquiry, project and problem-based learning, using research skills and scientific methods. Flexible learning environments are encouraged, including involvement with the community. Indigenous perspectives and ways of knowing are infused throughout the curriculum at all levels. 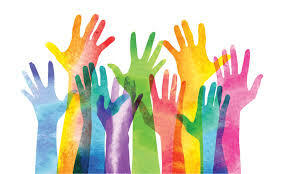 Explicit values of public education in BC include valuing diversity, inclusion of all students in the most enabling environment, inclusion of International students from a variety of cultures in our schools, and support for diverse learners. Is this a curriculum and instructional approach you’d pay $15,000 to $43,000 annually to have your child avoid? Statistics Canada research says differences between public and private schools in achievement on standardized tests are due to differences in family socio-economic status, parental education levels and lack of peer diversity: education as a gated community. Public tax dollars subsidize a good part of the tuition for private schools in BC. Public money is diverted from the public education system to support K-12 exclusionary private education. Although the recent change in provincial government in BC brings hope for a much more stable and truly supportive funding model for K-12 education, so far not one political party in BC has committed to ending or even reducing the diversion of public taxes to support private schools. BC public schools are internationally known for excellence. How is “something different” from excellence something to get excited about? — Diane McNally, former CUPE education assistant and public school teacher, was elected to the Board of Education of SD61 Greater Victoria in November 2011. The opinions expressed here are her own and not those of the school board.